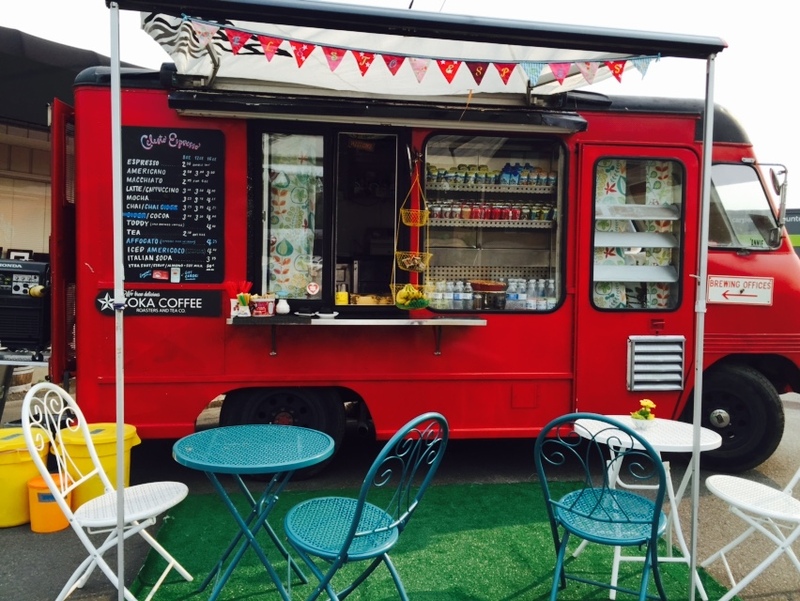 Celesto Espresso is a mobile coffee truck owned and operated by lovers of quality coffee and service. We serve locally roasted ZOKA coffee and delicious treats made just for us that you won't find anywhere else. 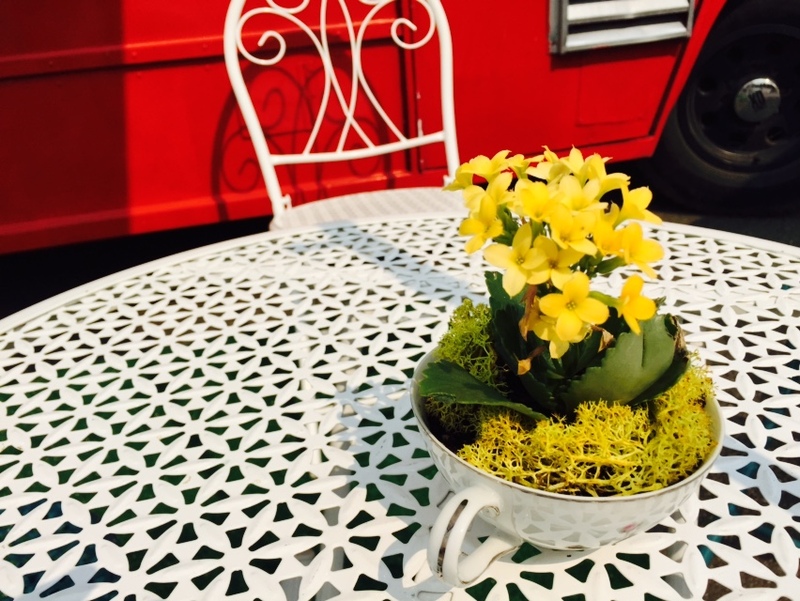 Come see us, you can't miss our vintage red truck, and experience the fun and care we bring to what we do! From 1991-1996 Celeste operated and owned the original Celesto Espresso cart in South Lake Union. Since then she has roasted, managed, and trained for such NW greats as Stewart Brothers, Tullys, Hines Public Market Coffee, Vashon Coffee, and Zoka Coffee. 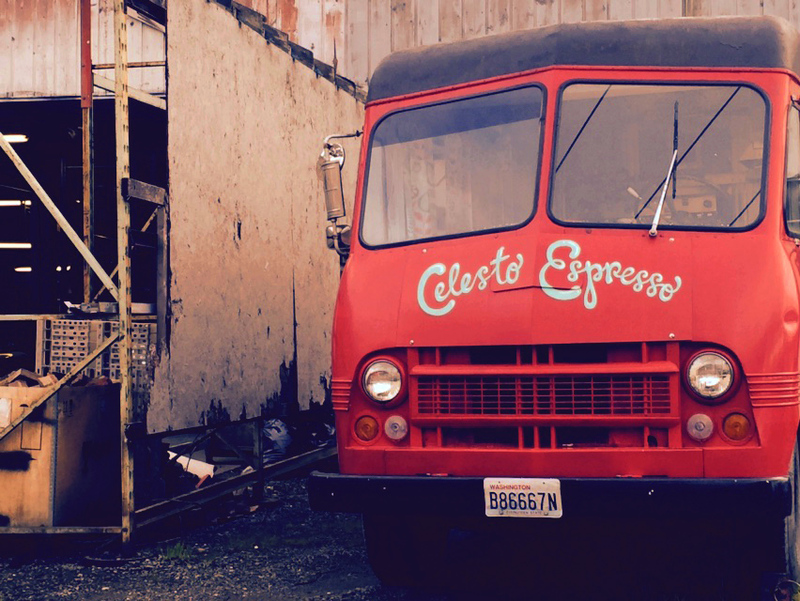 In 2013, she discovered a beautiful old milk truck named "Annie" that revived the dream of Celesto Espresso. She then found her home near the Center for Wooden Boats at South Lake Union. Starting November, 2016 Celesto Espresso will be moving locations to outside the gracefully restored King Street Station. We will be serving our custom espresso blend, tasty treats and warm smiles out of Annie's pretty red windows. Come by, say "Hi" and taste the love and craft that Celeste brings to this historic Pioneer Square neighborhood. Yes we can move, but we like to stick around one spot at a time. Currently we spend our days at Seattle's King Street Station in the international district of downtown. Our truck "Annie," is stationed at the lower west side entrance by the Stadium parking. Check out our calender or Facebook for events and the latest! Buy the Celesto Espresso blend sold exclusively at our truck, or check the ZOKA website for whole bean selection of single origin and blends. One day advance notice is required for custom orders. We have gifts card! They come in any amount of your choosing and are business card sized to easily fit in your wallet. Get one for yourself or a friend who's in the area!